Barclays team donating to Manunure High School. 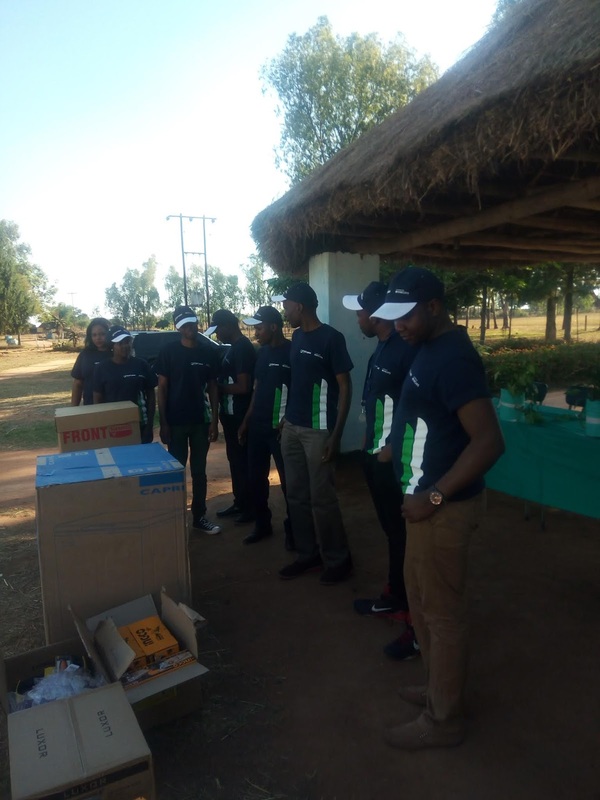 MASVINGO RURAL – The Barclays bank of Zimbabwe has donated food and wood technology design material to Manunure High School. The donation was made at Manunure High Morgenster Masvingo Rural on October 20, 2018. Including in the donation were a Capri deep freezer, a four-plate Superior stove, a microwave oven, grinders, drilling machines, chisels and hacksaws. Manunure High deputy head, Faith Muchenje told The Mirror that the school was using non-electric gadgets like gas stoves for food technology and hand driven machines for wood technology. She said practical lessons would now be easier to conduct electrical equipment. Manunure head, Svondo Chiwawa said that this was a big development for the school and it will benefit a lot of students and equip them with skills that will help them in life. “We banked with Barclays for quite some time and we are happy the Bank acknowledged out loyalty this year”, said Chiwawa.